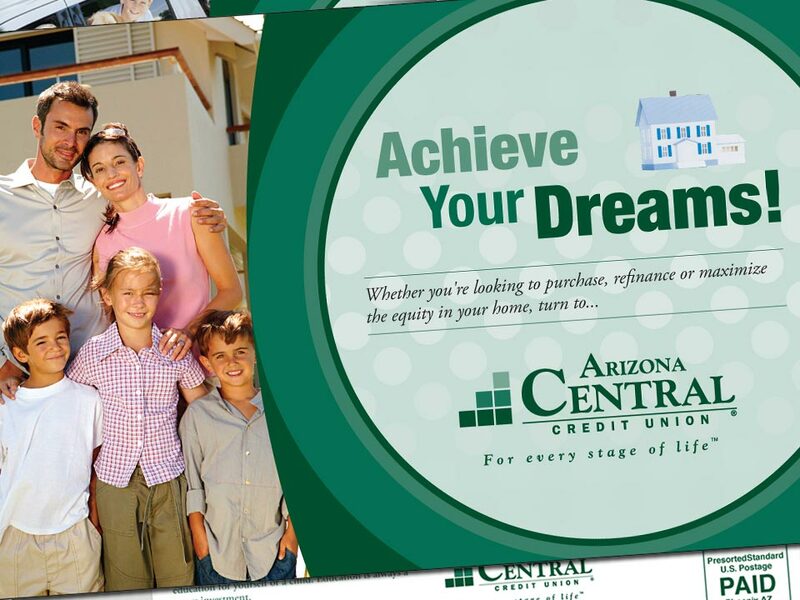 “Achieve Your Dreams” and “Make the Most of Your Home” were two variable driven direct mail postcards designed for Arizona Central Credit Union. The goal of both postcards were to generate new qualified leads for their mortgage group, and potentially create new investments on savings by printing multiple campaigns in one run, pre-sorted for mailing discounts. These two mailers were created with variable data in mind using highly-targeted through the lists, personalization and customization.